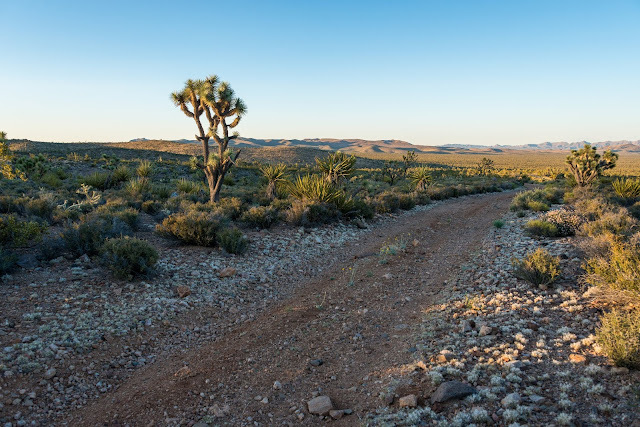 Although Secretary of Interior Ryan Zinke's report to the President recommending significant cuts to a "handful" of national monuments remains secret, many people that appreciate desert wildlands are concerned that Mojave Trails National Monument is on the list. 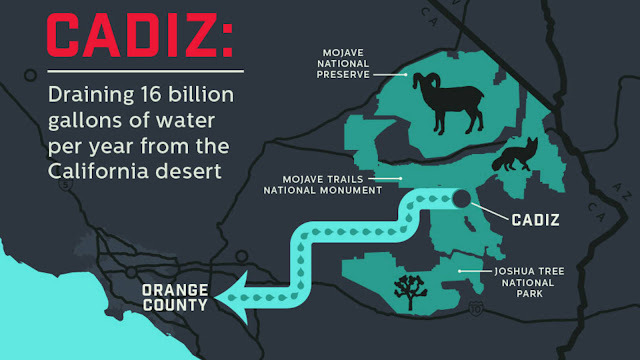 That is because Congressman Paul Cook encouraged Zinke in June to remove protections from swaths of Mojave Trails to accommodate the Cadiz company's plans to pump 16 billion gallons of water a year and sell it to an Orange County water district. The Cadiz company owns a parcel of private land surrounded by the monument. The proposal to cut the monument would open up a pathway for the company to build a pipeline to transport the water out of the desert; a plan hydrologists are concerned could dry up natural springs across a large portion of the Mojave. If you are a California resident, please take a stand against this potential cut to Mojave Trails and follow this link to urge your state representatives to support Assembly Bill 1000. The bill will require additional review of Cadiz Inc's water export plan so they cannot drain natural springs that wildlife depend upon for survival. If the Trump administration wants to slash national monuments to favor industrial exploitation, then California's state legislature can limit the damage those companies can do. 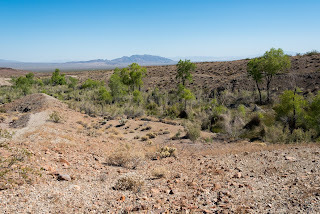 Congressman Cook's letter also recommended cuts to other portions of Mojave Trails to allow for expanded mining operations, and urged Zinke to cut down another desert monument that was not even under review. In his letter, Cook recommends reducing Castle Mountains National Monument to allow a Canadian company to expand gold mine operations there. Mining jobs only account for a tenth of one percent of all employment in San Bernardino County, and many mining operations take place closer to populated areas of Victor Valley and Lucerne Valley. 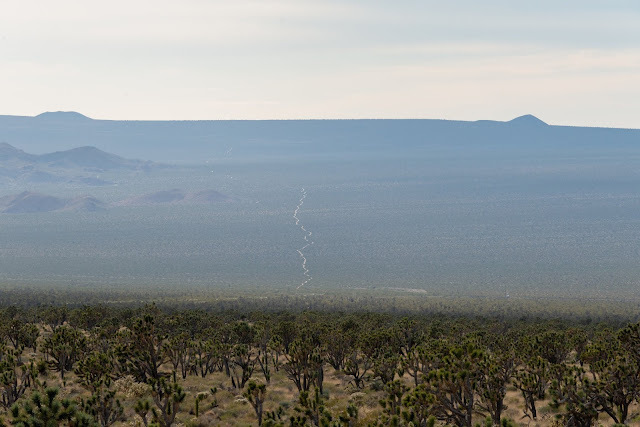 The monuments and pristine public lands, however, bring thousands of tourists looking for opportunities to hike, camp, hunt, stargaze, or just tour one of the last undeveloped stretches of Route 66 that goes through Mojave Trails. They protect irreplaceable natural and historic treasures. Cook's push to remove protection from the monuments is a blatant effort to aid destructive industry. 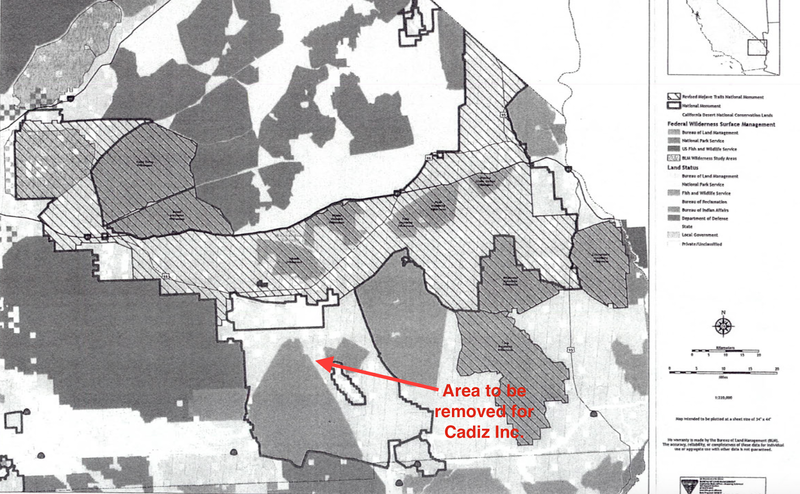 The annotated map above was included in Congressman Paul Cook's letter to Secretary Zinke, recommending that protections be removed from a vast stretch in the southern end of Mojave Trails National Monument (red annotation added). Opening up the southern portion to industrial development will make it easier for Cadiz Inc. to build a pipeline and pump water out of the Mojave. Cook's letter recommends cutting other portions of the monument to make way for expanded mining activity. The full batch of correspondence between Congressman Cook and Secretary Zinke - released as a result of a Freedom of Information Act (FOIA) - is available below.